I thought I would do a card using just the 2014-16 In Colors. I found my inspiration on Pinterest. I changed a few things like where I put the title, but it came out pretty good. Hi and welcome! 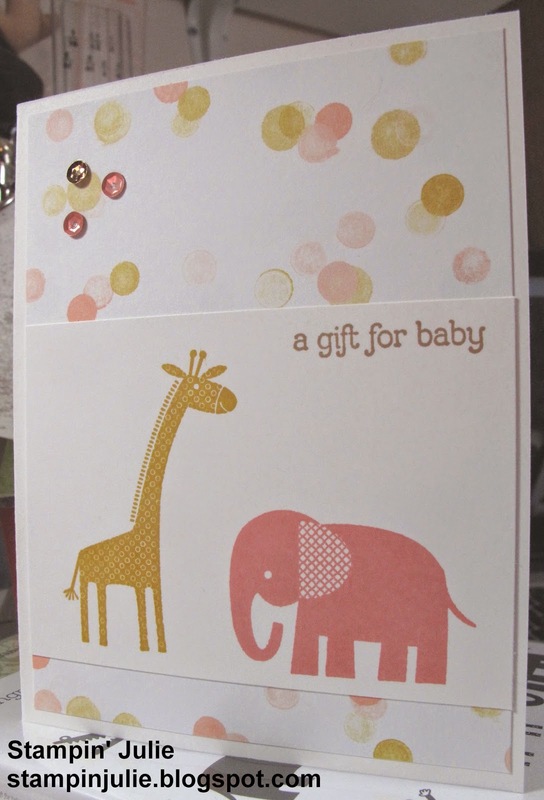 Here is a cute baby card I did. Hello and welcome back to my blog. 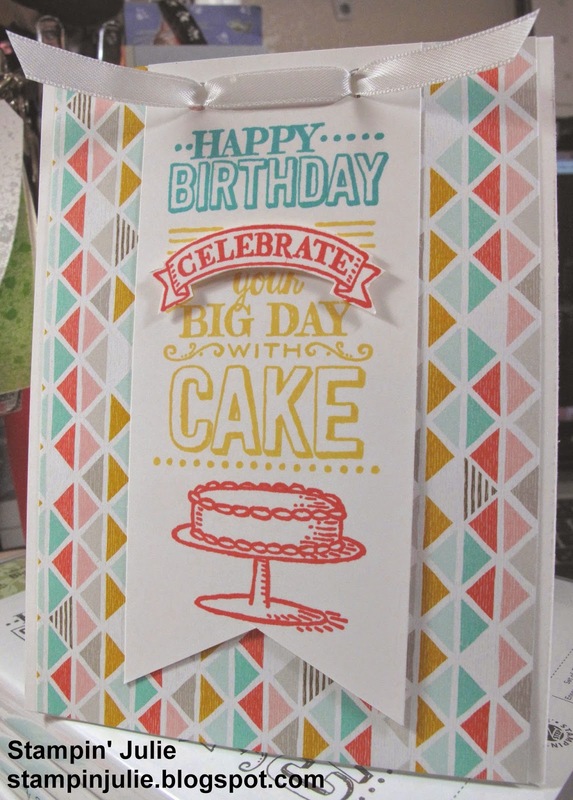 Here is a card I did using vellum with embossing and placed on cardstock. Well it finally came and I am so excited. 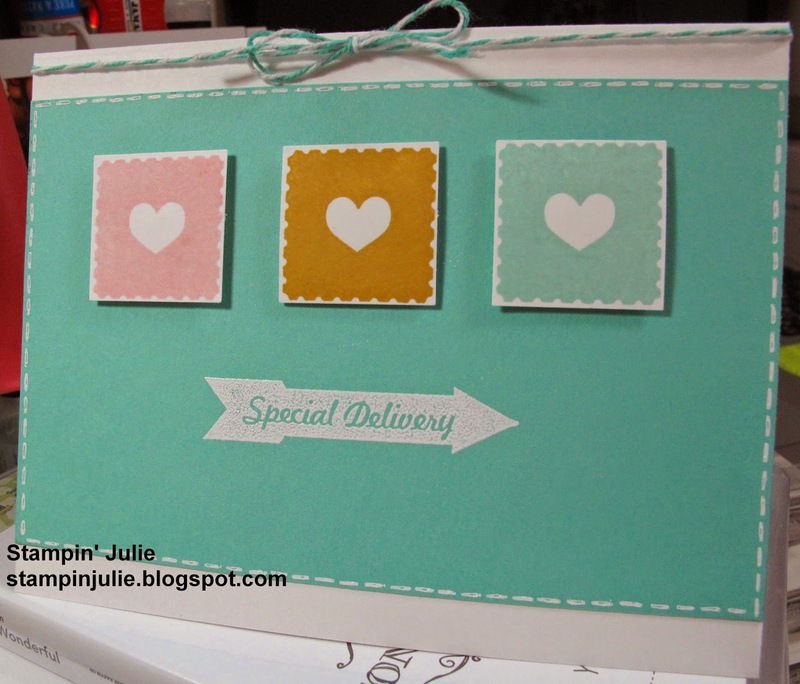 I love making baby cards and this card was a blast to make. 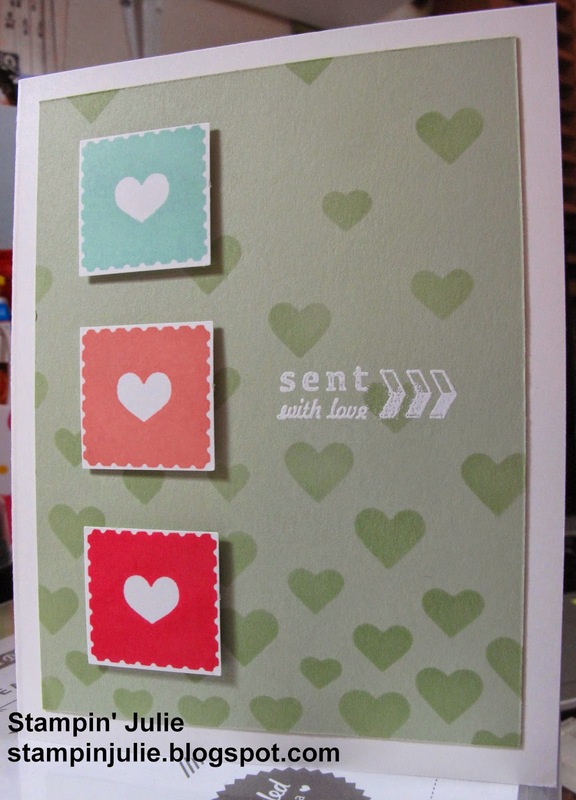 I used a retired stamp set for this one, "Sent With Love." 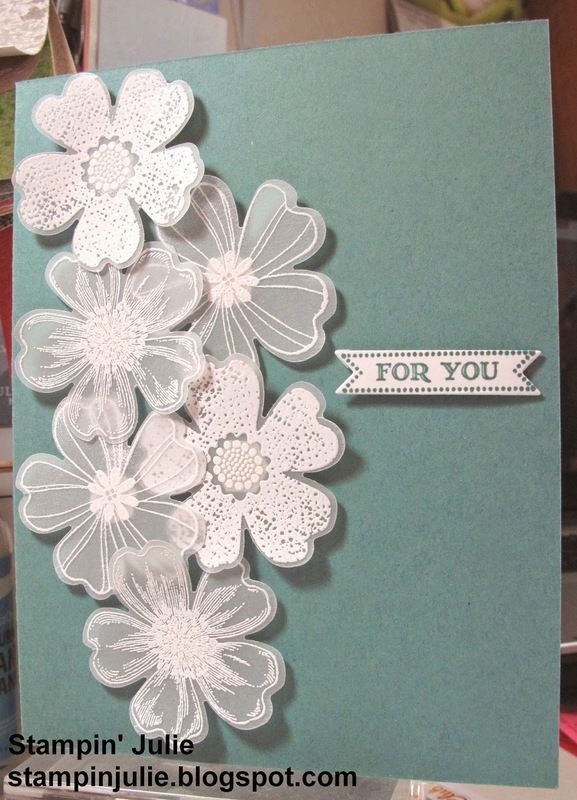 I decided to emboss with this card as black seemed to harsh for the sentiment. 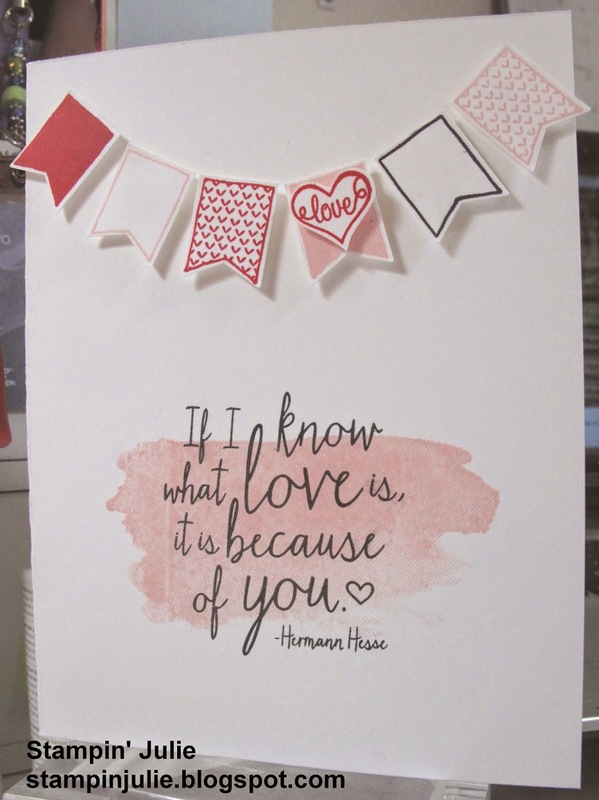 I used white Stampin' Emboss Powder along with Whisper White ink pad. 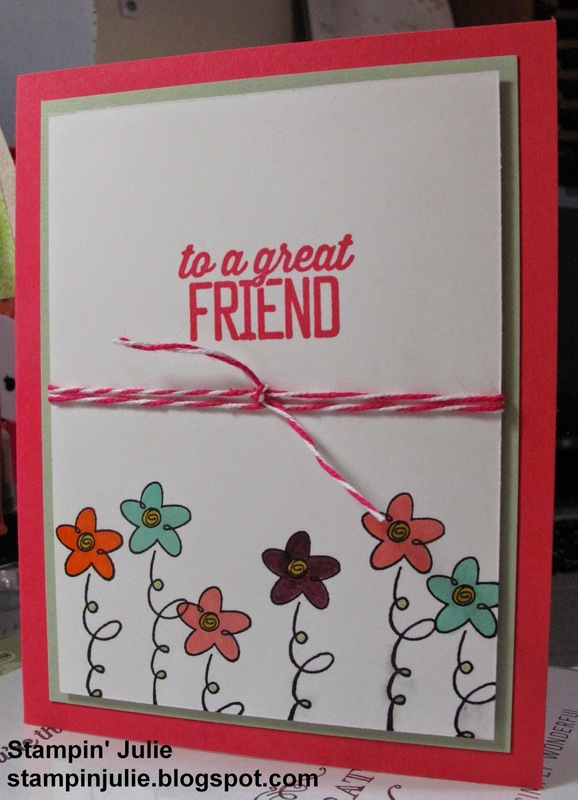 I am having such a fun time making cards with my stamps. I have another order coming tomorrow, Thursday 03/19, and I can't wait for it as I got some more stamps and some punches to go with them. 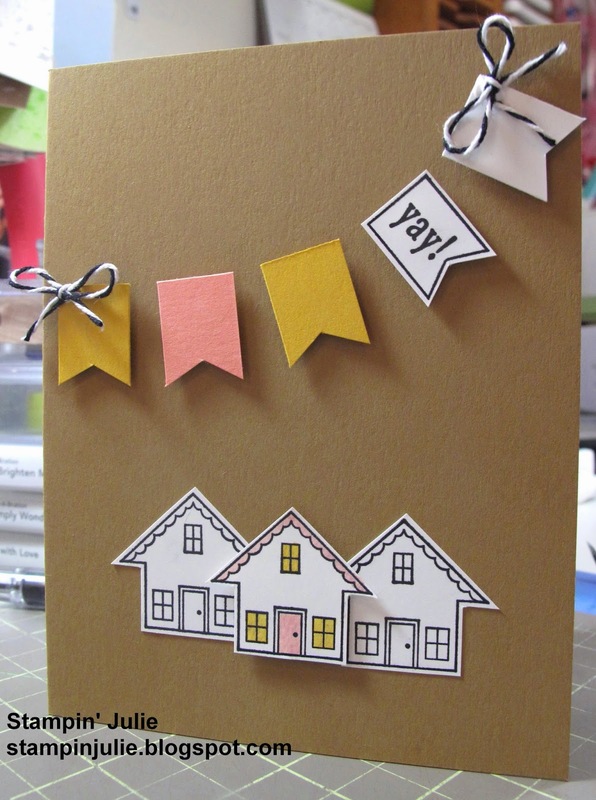 Here is a cute tag that I made with the inspiration from Heather Klump. You can see it here. I did mine a little different by making mine a tag instead of a card. 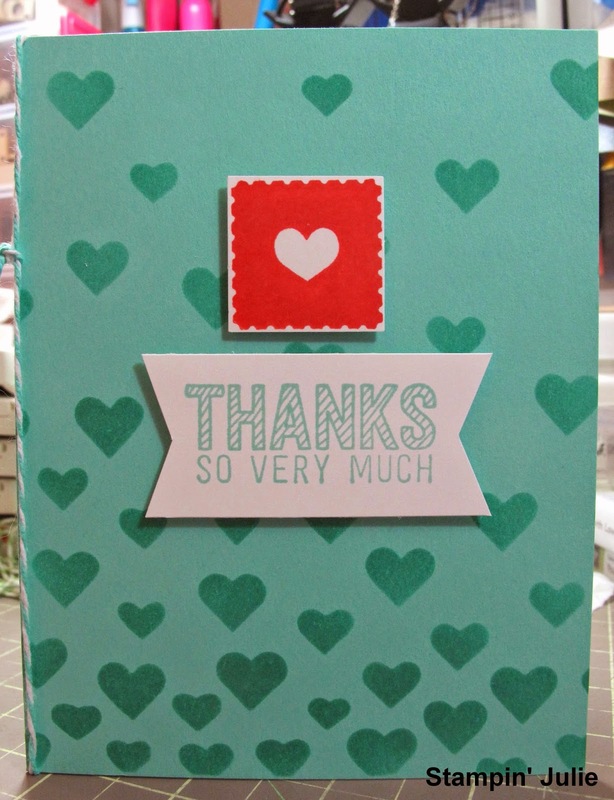 I am using the Stampin' Up! 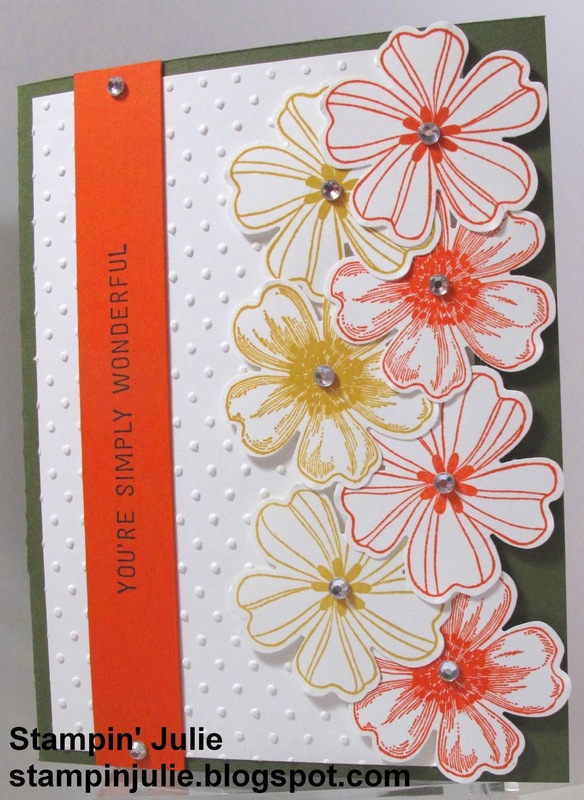 stamp set "You Brighten My Day" which is only available when you place an order for at least $50. 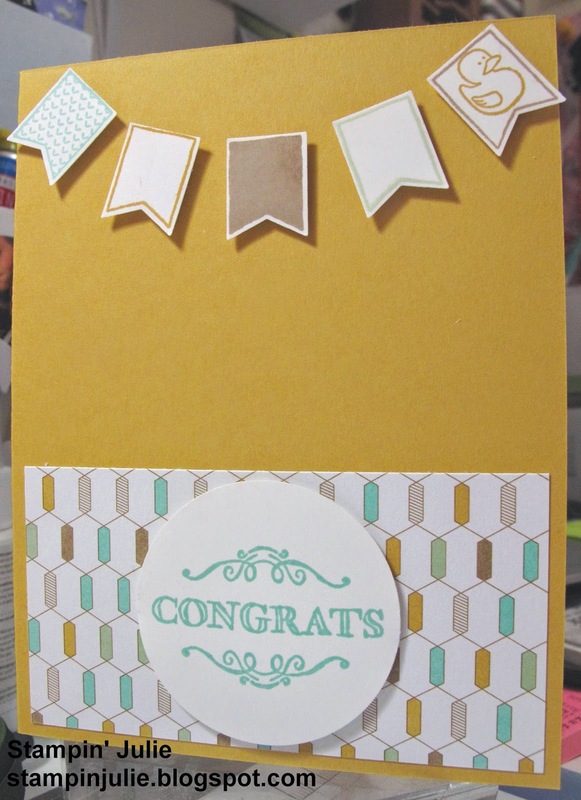 Here is my next Stampin' Up! 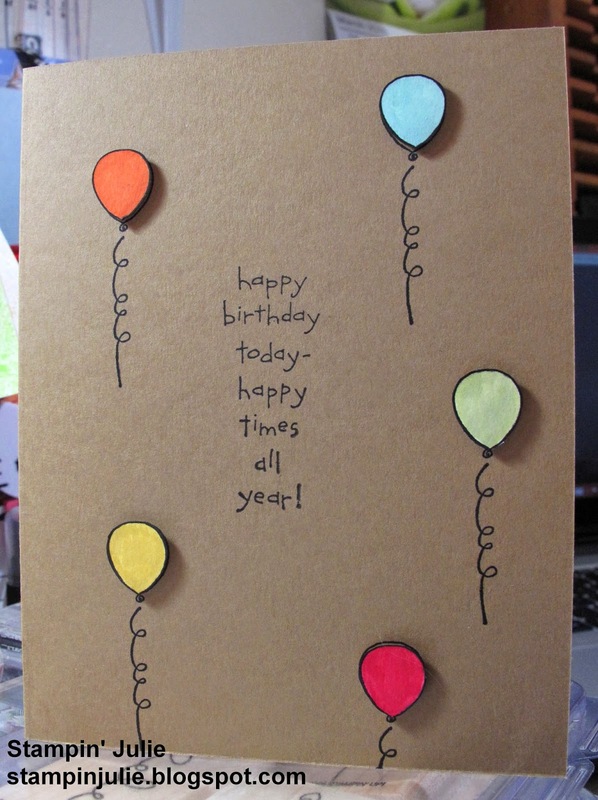 card I have made. 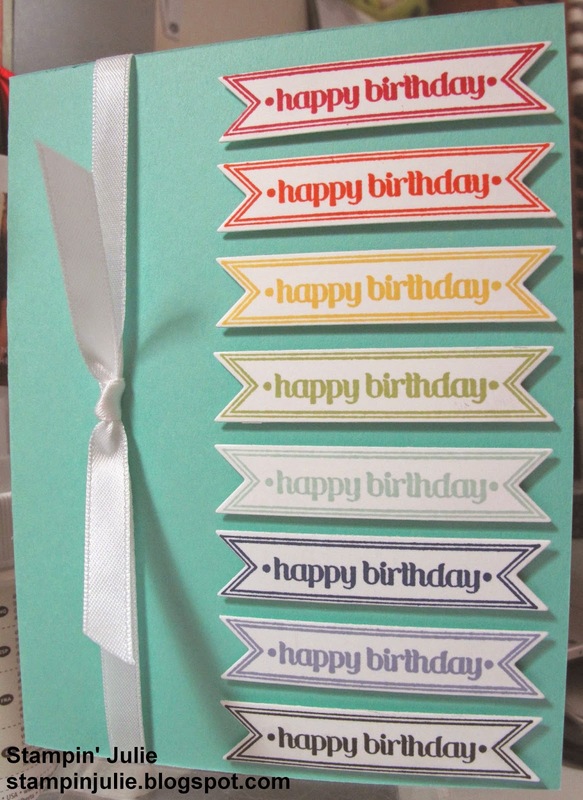 I used a retired stamp set with this card. 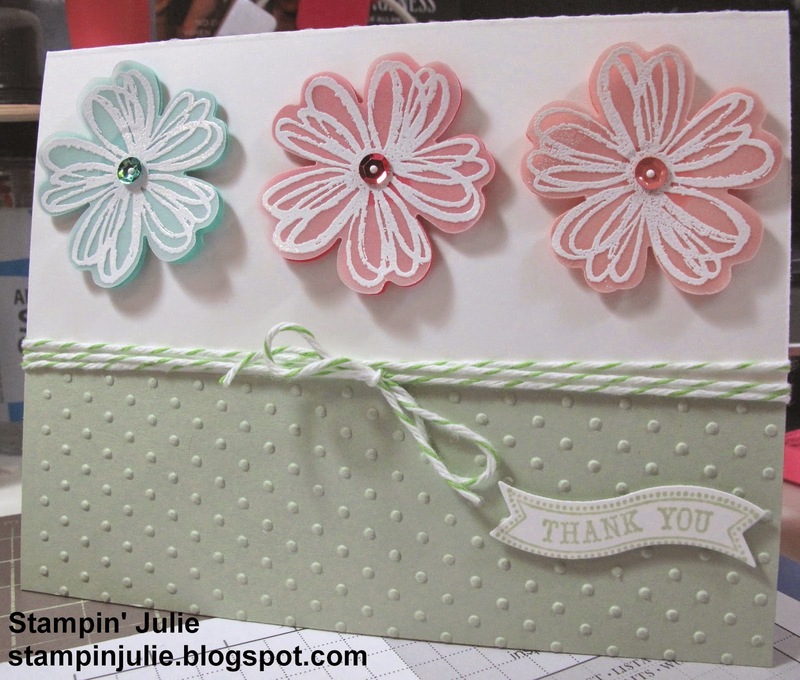 Here is my card made with just Stampin' Up products. I had a great time making it too. 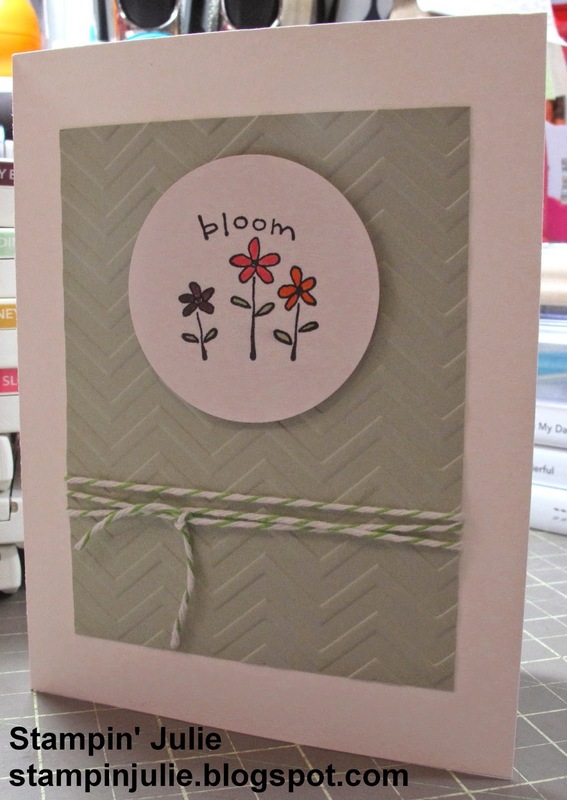 This is my first card I have made with exclusively Stampin' Up! products. I got my starter kit yesterday and couldn't wait to make something with it.